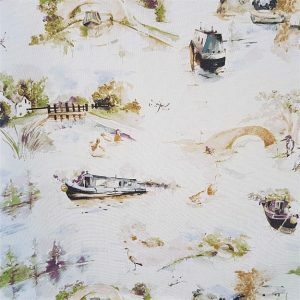 Aqua Furnishings sells narrowboat furniture, boat upholstery, boat & yacht blinds & curtains. 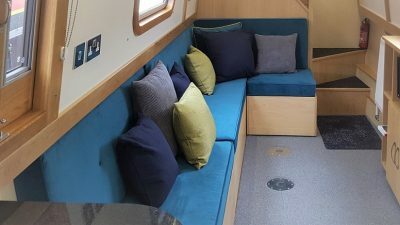 We have a range of small space solutions for your boat interior. 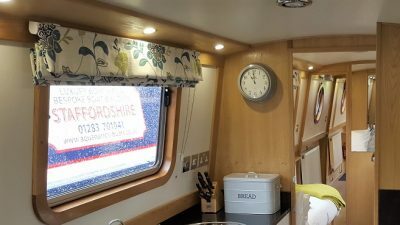 First of all, our range of boat & yacht blinds & curtains have been designed with devices that ensure they stay flush with sloping walls, we also make mini blinds & curtains to fit awkward windows. Alternatively, another window dressing option is bungs, most popular on porthole windows, which fit snug in your porthole window at night, and can be used as a cushion in the day. 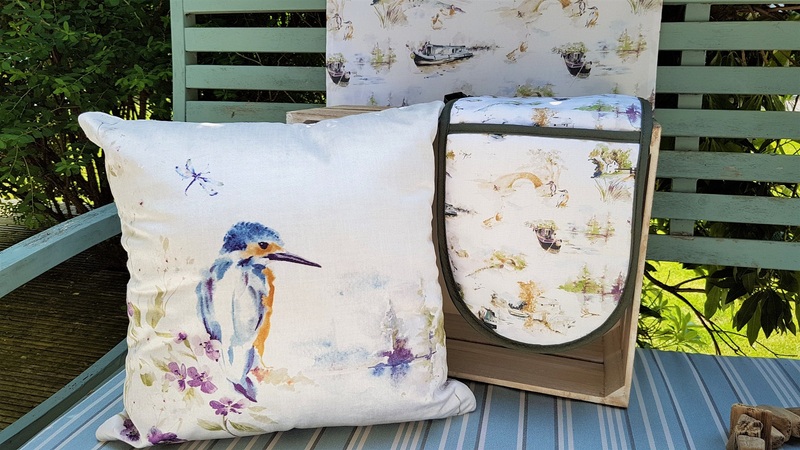 In addition, you can add extra style with matching scatter cushions and custom boat seating cushions from our fabulous range of over 120 designer interior fabrics and outdoor marine fabrics. 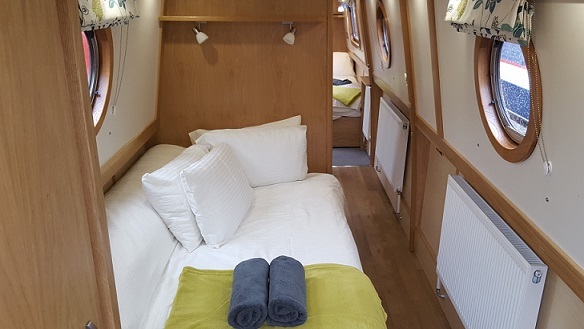 We also understand the need for really comfortable seating so you can rest at the end of a days cruising. So take a look at our luxury reclining chairs and footstools, an ideal size for canal & river boats. Need a custom made mattress for your boat or yacht? 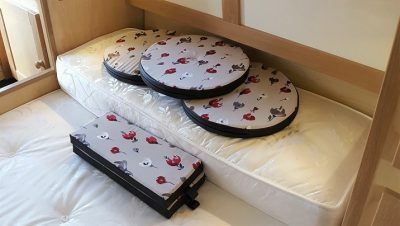 No problem we do that too, offering a range a bases including a 1000 sprung base mattress with Freshtec, giving a cooler nights sleep. 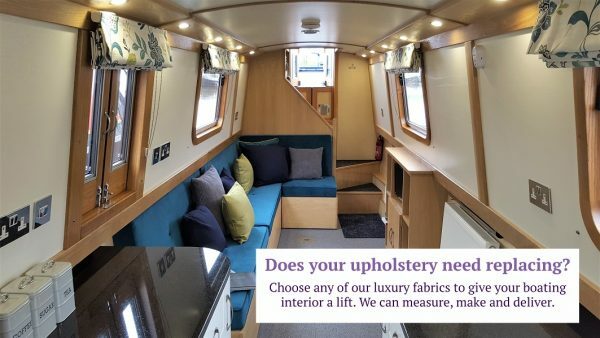 Finally, if you are looking for made to measure boat upholstery, then get in touch. We are experienced with custom boat dinette seating cushions & saloon seating cushions. 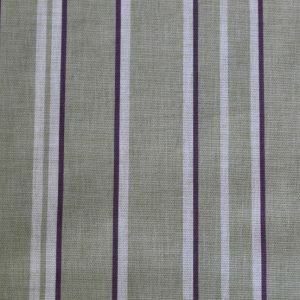 You can request a visit with a sales consultant who will show you fabric samples and discuss your options, or request a quote and send your query and measurements online. We would love to hear from you! 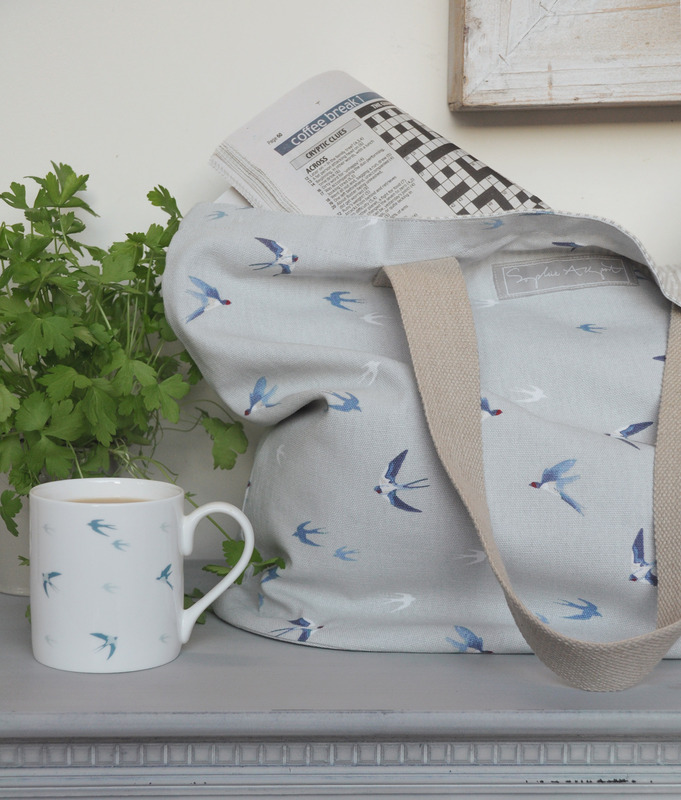 We are a design led company, and have launched our own fabric range, Aqua by Design. 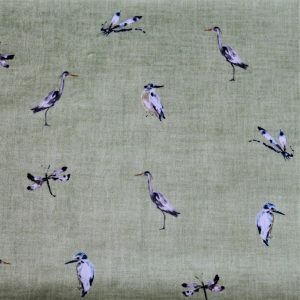 All our fabrics are designed, taking inspiration from the waterways, and printed in the UK and can be used throughout the boat. 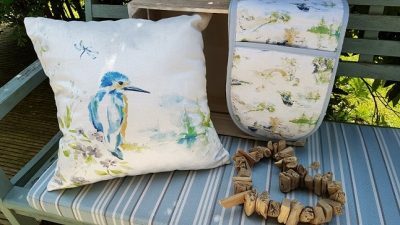 We print on cotton and velvet for soft furnishings and homeware, and coated cotton for boat upholstery and outdoor seating cushions. Our coated cotton fabrics are water repellent and flame retardent to crib 5, making them a superior marine fabric. 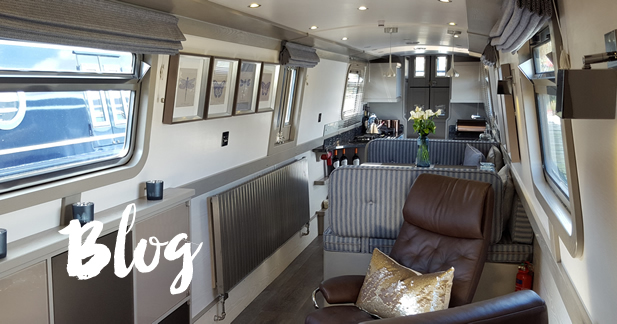 So, if you are looking for a truly stunning boat interior, then you may want to look at our ranges: spring canal collection, summer canal collection, autumn canal collection and winter canal collection. 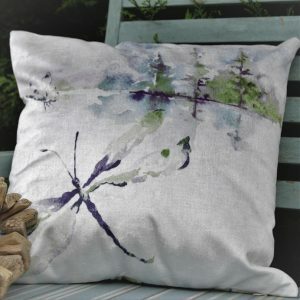 Here you can match soft furnishings such as blinds, curtains, dinette cushions, saloon cushions or outdoor seating cushions with homeware accessories such as oven gloves, aprons, tea towels and gifts. 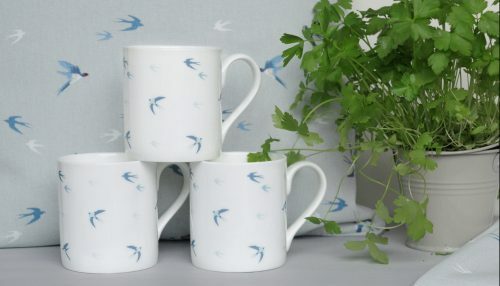 Therefore, you can have a complete refurbishment or collect your design over time, we even offer one off and bespoke designer pieces of ceramic.